I have a great love for Starbucks, I know a lot of people don’t rate it, but it’s my favourite coffee chain of all. So to celebrate my deep appreciation, I thought I would do a little break down of my favourite drinks. 1. 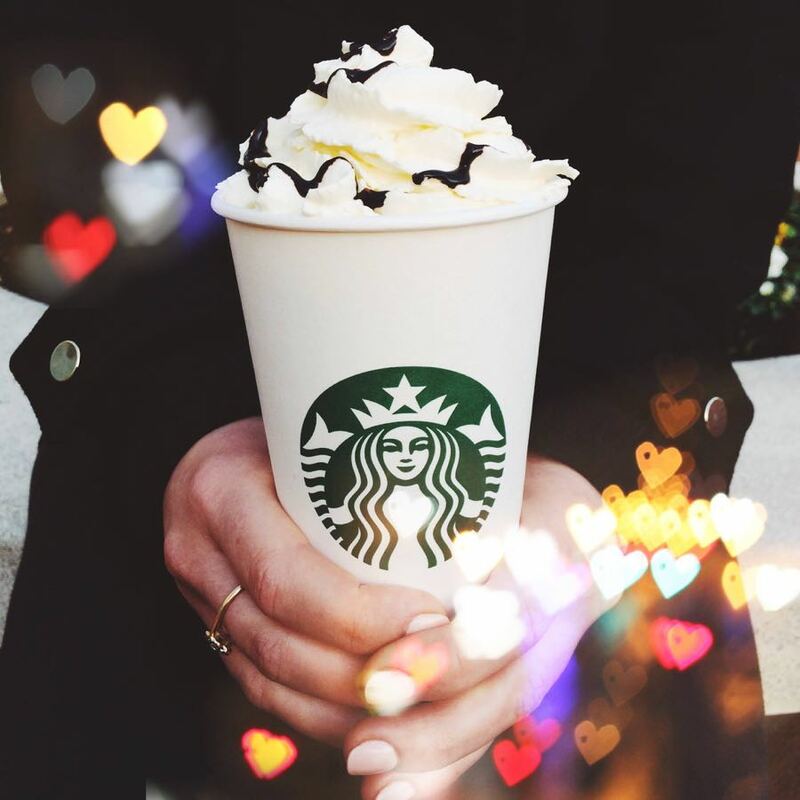 Skinny Vanilla Latte – This is my number one favourite order of all time. Low in calories (opt for the sugar free syrup!) but still a great sweet treat and the perfect caffeine hit. 2. Toffee Nut Latte – Yes this is seasonal, but my god is it worth waiting 9 months for! Creamy, Christmassy and the ultimate winter warmer. 3. Soy Latte – If you need a dairy free option, then opt for this with a flavoured syrup, as an exciting alternative. 4. Chai Tea Latte – A great coffee alternative, it’s infused with flavours cardamon and cinnamon and has a very aromatic scent. 5. Mocha Frappuccino – It’s coffee and chocolate blended into one super cooling and extra tasty summer treat. Just don’t look at the calorie count. 6. Cool Lime Refresher – Another for the summer but this is extra low in calories. It has a great refreshing taste, mixing lime, mint and cucumber and is dairy free. Glad you’re such a Starbucks fan, but one little correction you’ll be happy to hear: toffee nut is actually a year-round syrup, one of our permanent staples. Enjoy any time!